The Politics of Gun Control Have Changed, But Will Democrats Notice? Over the last four presidential elections, gun control has been as settled as any political question, with Democrats all but conceding the issue to Republicans in national elections. 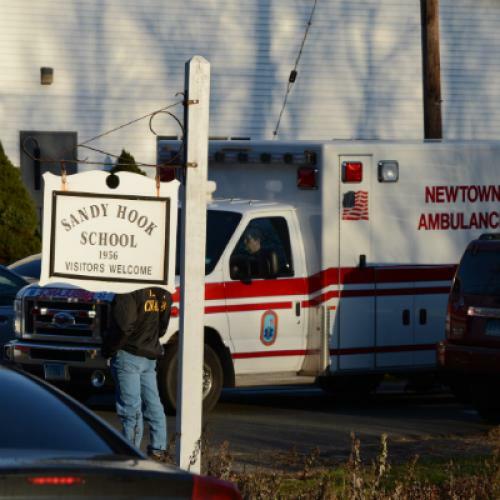 A spate of mass shootings during the first four years of the Obama presidency didn't change this, but there is some reason to think that the terrible elementary school shooting in Newtown, Connecticut could be different. But even though the public might not overwhelmingly favor gun control, there’s reason to believe that Democrats can again feel comfortable fighting for gun control after a decade of keeping it on the back-burner. After all, they're less reliant on rural, gun-owning voters than at any time in the history of the party. Democrats backed away from gun control after concluding that the issue cost Al Gore the presidency, since he lost conservative, pro-gun states carried twice by Bill Clinton, like Ohio, Arkansas, West Virginia, or Missouri. But although national Democrats stayed silent on the issue for the next four presidential elections, neither John Kerry nor Barack Obama reclaimed these conservative, pro-gun Clinton-Bush voters. In fact, Obama and Kerry both performed worse than Gore among conservative rural voters. The fact is that these pro-gun voters are lost to Republicans, and probably for good. But though Democrats may have thought they needed these voters to prevail in 2000 or 2004, Democrats have found a way to win without gun lovers in West Virginia: doing even better in suburbs and cities, where support for gun control is presumably at its highest. That’s even true in Ohio, where Obama won Ohio twice by improving upon past Democrats' performances in urban and suburban areas, rather than racking up conservative voters in southeastern Ohio, like Clinton or Carter. The success of Democrats in well-educated suburbs has placed Republicans in a situation not too dissimilar from the one facing Democrats at the beginning of the last decade. To win nationally, Republicans will need to reclaim the socially moderate suburbs around Denver, Washington, and Philadelphia where gun control is at least a neutral issue, if not a real asset to Democrats. At the very least, the fact that Democrats can win nationally without southeastern Ohio or West Virginia means that they can address gun control without fear of jeopardizing the presidency. 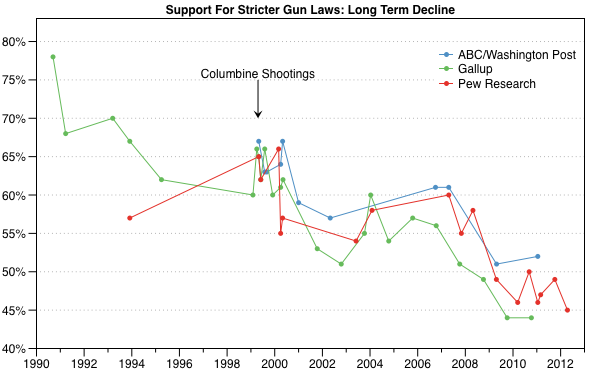 After all, national polls show the public roughly divided on the issue, even though Democrats haven't even argued for gun control in twelve years. But if Democrats are savvy enough to stress popular measures like an assault weapons ban, which commands the support of approximately 60 percent of voters, it could also help them consolidate their gains among suburban women. Of course, it's been a very long time since gun control was championed by Democrats, and it will require the party to realize that the conventional wisdom on gun control politics is out of date. Democrats do not need to be afraid of angering voters who they have already lost, stand no chance of recovering, and no longer need to win presidential elections. Perhaps the tragedy in Newtown will prompt an overdue reassessment.